Valerio Adami is an Italian painter associated with the Pop Art movement. Initially working in an Expressionistic style, he gradually developed a highly graphic aesthetic inspired by French Cloisonnism, a Post-Impressionist movement in which bold, flat forms of color are bordered by black lines. 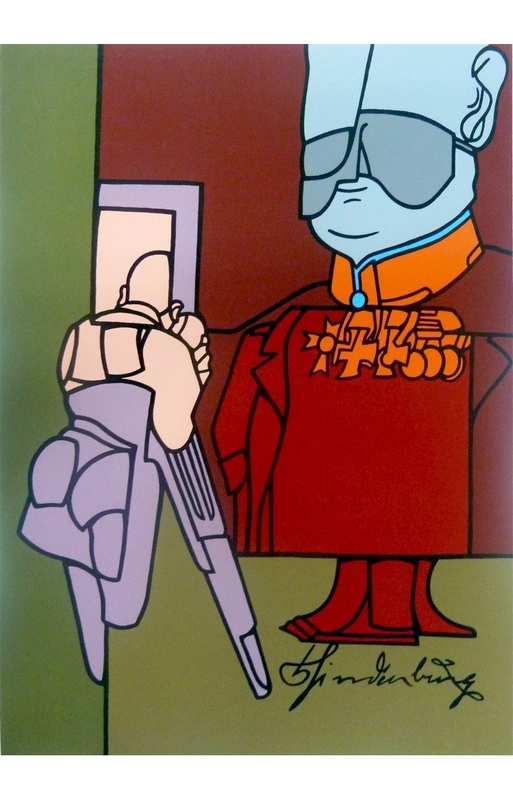 Adami’s distinctly stylized works bore a resemblance to commercial imagery that aligned him with other members of Pop Art. He was born on March 17, 1935 in Bologna, Italy, and began studying painting at the age of 10 under Felice Carena. From 1951 until 1954 he studied at the Brera Academy, and by 1959 he had his first solo exhibition in Milan. Among his other notable activities, in 1972 he produced the movie Vacances dans le desert with his brother, Giancarlo, and in 1975 was the subject of a seminal Jacques Derrida essay entitled “+R: Into the Bargain.” He has had several major retrospectives, including at the Centre Pompidou in Paris in 1986 and at the Boca Raton Museum of Art in 2010.